She sent me an email and things have not really been the same since. She stirred the heart up. And the mind joined in. And then the nudges came and the soft tender birthing of words started to form, like a small green tomato appearing on the vine. I held a short vigil over the inspiration and waited. Waited for it to be red and ripe and juicy. And then decided that the perfect combination of the thoughts and musings just may not make it on paper. And that the fuzzy outline and facts may not take shape into an eloquent and thoughtful blog post from me. But that maybe just breathing in Jesus and breathing out fear and taking a first step was really all I was called to do. All we really can ever do. The subject is a paradox because it is big and looming over me but it is really quite manageable too. And gnawing and chewing on it for days may have been fear of not getting it just right. But God…. leaning into Him for courage and trusting Him for guidance, is all I need. All I will ever really need. But I want to be a good steward of this passion for writing. And I do want to make something beautiful with words. So worry replaces Trust and fear replaces Bravery. I have tried to go back and find where I read or heard the notion of breathing out fear and breathing in Jesus because I love the feeling of doing just that. Letting go of fear and breathing in the life-giving breath of Jesus.I needed His breath of courage and His help kicking fear under the bus on Sunday. I was fearful about speaking and reading in public in church. But God allowed my eyes to fall on these words somewhere and they spoke to my soul. And they speak to my soul and infuse courage into my spirit. So I told The Patient One, to whom I have been married for almost, almost a quarter of a century and he is a he. So he googled what happens when one crosses the wake. Oh the facts. And the descriptions. And the technical descriptions. I wanted art and feelings to pour out of my fingers as a by-product of reading this email. He suggested I know what REALLY happens when one actually “crosses the wake.” I love him and know to listen to him. So I stalled out and couldn’t press begin, much less publish and the words didn’t seem to come. And how ironic. How ironic indeed. I stayed behind the wake in the safe zone of inaction where the waters were calm instead of heading out across to the exhilaration of His inspiration. Staying out of the beautiful blue waters of Trust. So this is the part where I tell you I want to explore this idea with you all. The idea of going across the wake, crossing into the new places which contain challenge and exhilaration. Getting out of the safe zone where the water is smooth as silk. 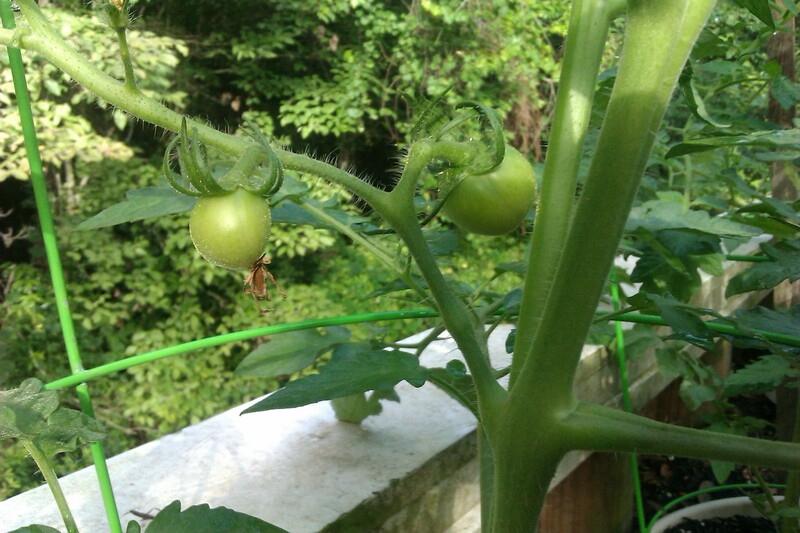 Because I do really like green tomatoes and sometimes waiting and waiting on them to ripen is only one choice. 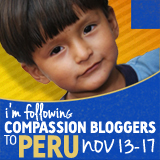 I am excited to have partnered with Compassion International as a blogger. It was time to step off the curb and do something for children in poverty. My heart had been broken after reading a recent blog about a friend‘s two Compassion children she sponsors. So I am privileged to start a journey blogging once or twice a month when Compassion sends me an assignment. I am so excited to learn along with you about these children who need our love and prayers. And I am honored and privileged to advocate for children in poverty. Please come along with me tomorrow as I continue to explore the idea of “crossing the wake.” I will share with you what my husband, The Patient One, encouraged me to learn of this concept. And I will pour myself into exploring more of the art of crossing into the challenging places in life. In pursuit of Him, because of Him, and with Him. Not alone, breathing out fear. Going into the bumpy parts and places. Will you come back tomorrow? That would be lovely. And today I am turning toward a place of gratitude and counting gifts with Ann at A Holy Experience dot com. So much to be grateful for. * Good news from a school regarding a child. An answered prayer. *An email from Compassion in my in box and the joy of the new journey. *For feeling more than okay about submitting my blog for consideration to go on a trip to Peru with Compassion. Feeling brave and leaning into God’s perfect will for the details, for a no, a yes, or a later from the request. *Special nights with The Patient One watching the Olympics. Just simply being together. Two happy teenagers with lots of friends and nights being away from home and out of school for summer. *Beautiful words of a Methodist preacher at a funeral on Sunday. Life affirming and Hope offering words from the pulpit. *Watching my oldest grow into a man and seeing his soft compassionate heart in action. *For kind words and comments in the in-box here and friends all over this bloggy world. *For relationships and friendships with other bloggers who encourage and support in love. *For two extremely kind emails I received that filled me up to over-flowing with their love and support. A blessing that they took the time to write. *For a little girl in Peru whom I am sponsoring and what I will learn about love from her. Looking forward to corresponding with her and grateful that God brought us together. Linking up with Ann, Duane, and Jennifer today and/or tomorrow. I will definitely be back tomorrow. What an interesting concept, crossing the wake… looking forward to reading more. You know, I grew up on a lake and have crossed the wake behind a boat more than I could ever count and have never thought about it…Thanks for giving me something to ponder! Hugs to you, Elizabeth! Thanks for stirring my heart! So glad we can ponder together, friend. Love your heart too. So much. Thanks for being on this journey with me. wow, you are taking a big step, taking a risk, and definately moving out of a comfort zone. I will follow you and read your words. We sponsor two little girls in Haiti. They are both age 5 I figured we could follow them all the way to adulthood. My husband was in Haiti and he knows the poverty and the beauty of the people. God be with you on your new journey. Oh Sharon, your heart blesses me. Thank you for your tenderness and encouragement. I am grateful. I am going to Haiti in January on a mission trip. It is my prayer to go to Peru in November too, if its the Lord’s will and timing. Thank you for being here and reading, always so faithfully. Lovely to meet you too! This is beautiful … Those words about “crossing the wake” stirs something in me … Those are deep words. I’d love to read Part Deux. Thank you for being here. Its a gift. And yes I knew it was stir. My heart knew. So happy to meet you here. Look forward to getting to know you a bit more in this bloggy place. I am humbled by your words. Thank you. Look forward to having you on the second leg of the journey. Part Deux. Oh Elizabeth, I can’t tell you how this excites and blesses me! There is no joy like the letters you will recieve from your Compassion child. I am so deeply grateful to see you move this way, to see what GOD is doing! It’s amazing how He stirs us and plants the seeds and waters and nourishes the dreams… He will equip you to cross the wake… what grace it is! What a beautiful post, Elizabeth! I sponsor 2 compassion kids in El Salvador and I would LOVE to get the chance to go on a blogging trip and meet them. It would bless my socks OFF. “Outside the wake” – I love this because I’ve spent many years waterskiing. What a great metaphor for getting outside of our comfort zones and experiencing the liberating leading of the Holy Spirit. He is so much more than we can ever know! Thanks so much for linking up with me today. Blessings to you and your Patient One today! That analogy of crossing the wake is one that resonates. I have so many photos of my kids doing that this summer on our lake in Canada. Congrats on the Compassion blogging assignment, I can imagine how excited you are. Hello Shelly, great to have you here. Sounds like you had a fantastic time at your lake vacation spot in Canada. 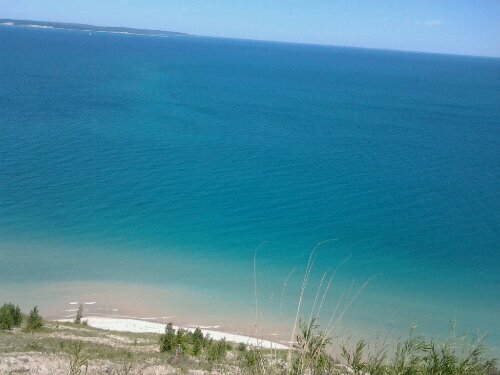 I am certain the lake blessed you, as water always does at so many levels. Welcome home. I love this “breathing out fear and breathing in Jesus because I love the feeling of doing just that. Letting go of fear and breathing in the life-giving breath of Jesus” and your list of thanks and promises is wonderful. Every child matter… ! Bless You!